What Kinds of Attachments Can I Use When Replying to Amazon Customers? Published at May 23, 2016. ChannelReply supports text, PDF, Word and image attachments with Amazon messages. See more details here. Can Amazon Tell if I Have Multiple Amazon Accounts on ChannelReply? Published at Feb 19, 2018. 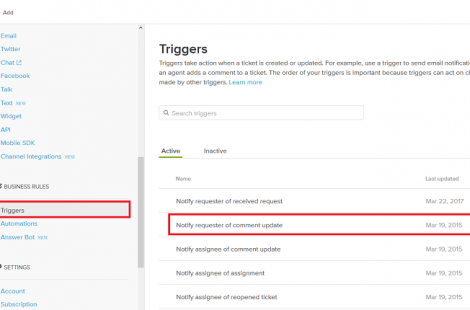 Many ChannelReply users worry about Amazon discovering they’ve connected multiple accounts. Amazon probably wouldn’t mind that you provide customer service for more than one seller, but here’s how to play it safe. Where Are My eBay and Amazon Tags in ChannelReply? Published at Mar 27, 2018. 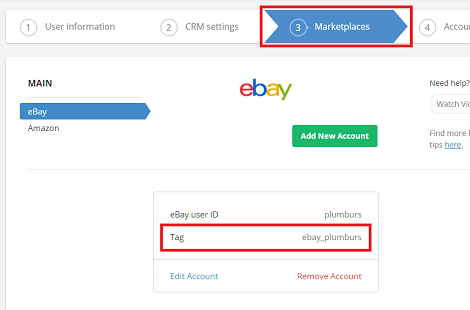 Your Amazon and eBay tags are found in the account management screen under (3) Marketplaces. These screenshots show exactly where they’re located. Published at Aug 02, 2017.